Travelling is tiring, so WHY not use our Krakow Airport Transfer Service in advance and arrive at the Hotel unwearied and fresh.? 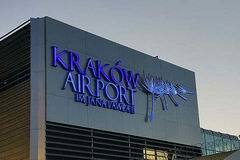 By thinking ahead and organising your Krakow airport transfer, you’ll be looked after from the moment you step off the plane. Around Krakow will organise for a friendly, English-speaking driver to pick you up straight from the arrivals hall and whisk you away to your hotel with minimum fuss. Just use our quick-clik booking system on the left side and arrange the perfect airport transfer. Book it now and our driver will be waiting in the arrivals hall with your name on the board. He will do the rest for you when he picks you up. He will take you straight to a modern, comfortable, air-conditioned vehicle. Once in a car all you need to do is… relax. The ride to your hotel or any other place of accommodation in Krakow will take no longer than 0,5 h, since Krakow Airport is just 15 kilometers away from the Old Town. You’ll have around 30minutes to pick his brain on ‘where to be’ Around Krakow since Krakow Airport is just 15 km away from the city centre. Bear in mind – we are here to help – we keep a lookout for flight changes, delays and cancellations. We are here to make your experience exceptional so don’t you worry about rearranging your transfer if you are going to be a little bit late. Check our prices. Going skiing, snowboarding or just want to visit Zakopane with beautiful views, main Street – Krupówki – for souvenirs? No matter the purpose getting to Zakopane with our service will take about 1,5h and be money well spend. As a winter capitol of Poland Zakopane has been the most popular destination for skiers, snowboarders and Tourist since 19h century. Polish Tatra Mountains are a must-see and The City of Zakopane as a starting point is the way to go – with our help this experience will be as pleasant as a glass of mulled wine at a -20 C winter night. We know where to go and how to get there – pack up yours skis and let us lead the way. Bear in mind – we are here to help – we keep a lookout for flight changes, delays and cancellations. We are here to make your experience exceptional so don’t you worry about rearranging your transfer if you are going to be a little bit late. We have few options available – depends on what suits you best. We can pick you up from either Krakow or Katowice (both cities and airport – as appropriate). Compare our prices and see for yourself. Caught yourself on schedule and want to mix it up a bit ? Our Custom Transfer service is what you need – from Krakow to most popular cities – we can get you there stress-free and best routes there are. Make sure to book on-line and have the questions for the driver prepared – he’s been waiting for you to ask them so he can sweep you off your feet with his extended local knowledge. Give him a shot and fire away! SPECIAL PRICES FOR VOLLEYBALL FANS!!! Compare our prices and see for yourself. WrocLOVE – as we call it – cos when you visit you must love it. It’s a must-see city architecture and all that goes along with it. The main square is simply fairytale-like and takes your breath away in a heartbeat. There is an everlasting battle between the Krakow Main Square and WrocLOVE square and, as we are Krakow-based we are obliged to cast the obvious vote however we recommend you to see them both and make the judgment. Bear in mind – we are here to help – we keep a lookout for flight changes, delays and cancellations. We are here to make your experience exceptional so don’t you worry about rearranging your transfer if you are going to be a little bit late than planned. Compare our prices and see for yourself. Krakow – Warsaw is the most popular route across southern-central Poland. Many ways to go around it, however we know how to get you to wherever you are going fast and secure. Wrong Train selection can cost you 6h one-way trip, hoping for a empty seat on a train – a few hours ‘stand off’ after a long flight. Our dedicated service can pick you up and deliver to the place you have to be in time and ready to conquest the Capitol. As the country Capitol – Warsaw can be busy and overwhelming in its own way – getting yourself ready is crucial – you can do it on the way investigating Warsaw ‘dos’ and ‘don’ts’ with our driver. Whether Airport – Airport, or City – Airport transfer is on your mind you can easily book one using our simple on-line form. A smooth 4h ride is a click away – go for it. The ride is usually 4h or so and the distance is 300 kilometers (180 miles).